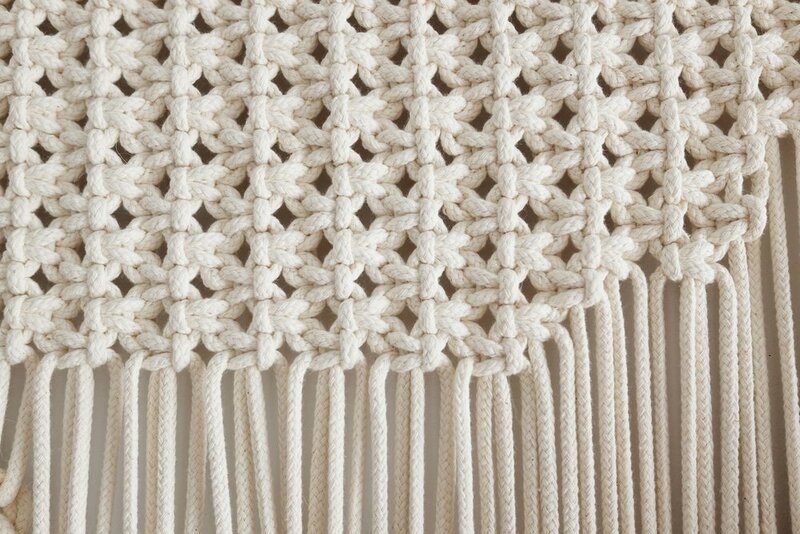 Wall hanging in macrame/weaving. Private client. 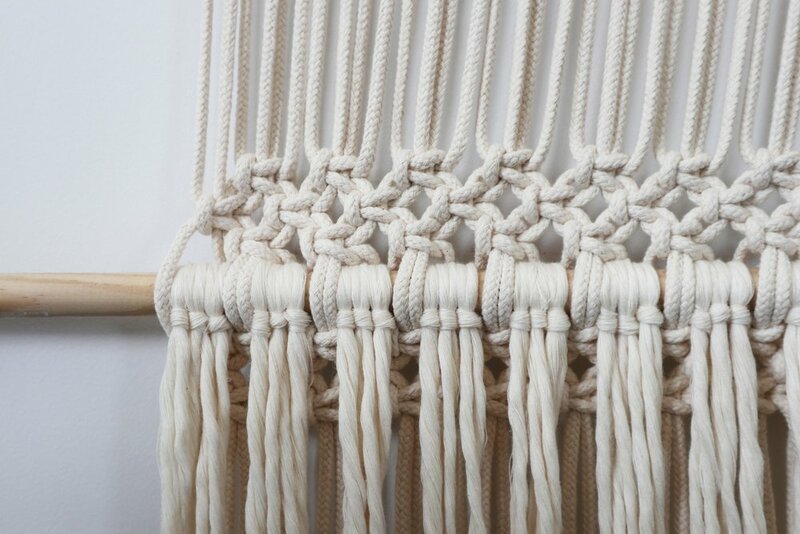 Wall hanging in macrame/weaving. Commissioned by Martinhal, Sagres included in the 6th edition of Luxury, Art & Design Weekend. 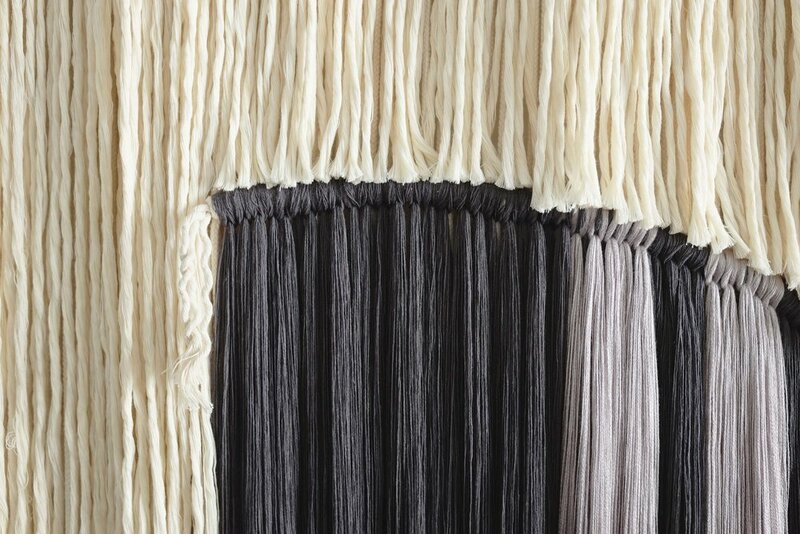 Plant hangers in macrame for the store and restaurant ambient (Interior design by Studio Astolfi). Corporate identity for the blog, social media and stationary. 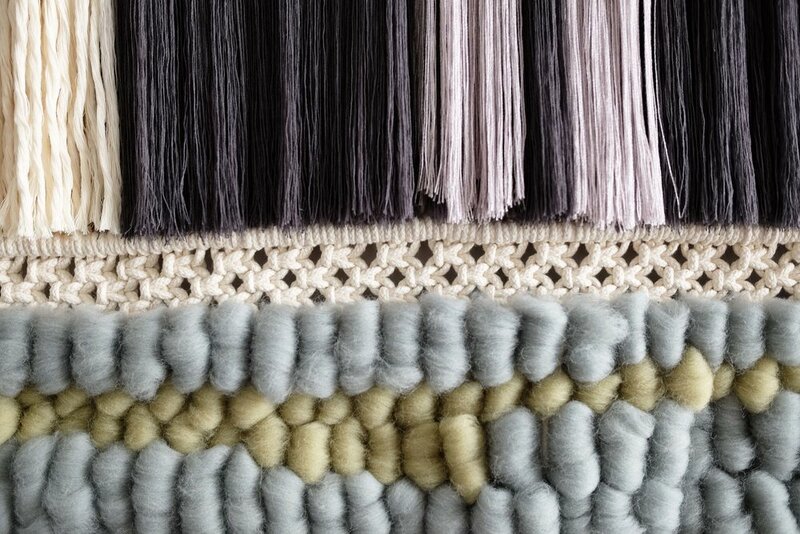 Wall hanging in macrame/weaving - Private client. 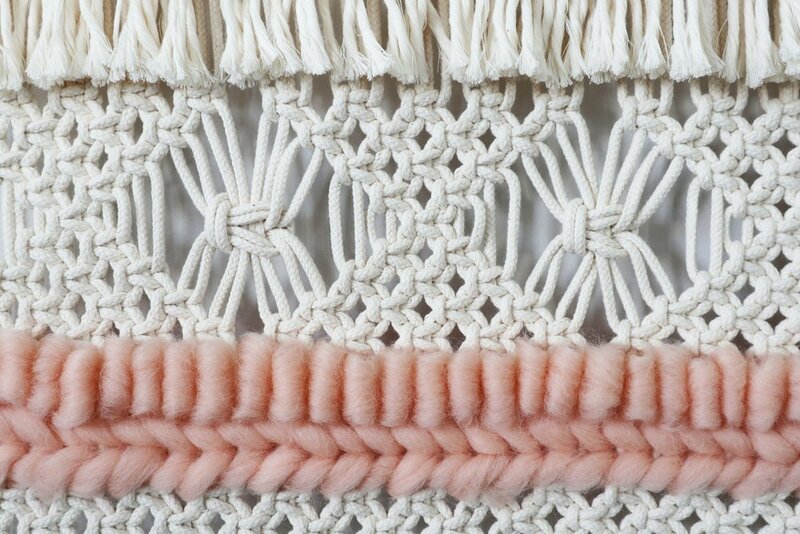 Wall hanging in macrame for the Spring-Summer (Design by Ana Trancoso). Corporate identity for the blog and social media.